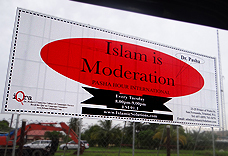 Published by: Dr. Pasha's Centre for Culture and Community Service, Trinidad, W.I. and Read the Qur'an Campaign Committee, Trinidad, W.I. All rights reserved. No part of this book may be reproduced in any form or by any electronic or mechanical means, including information storage and retrieval systems, without prior written permission from Dr. Pasha. [Chapter 6] Some Early and Quick Answers - Really? [Chapter 19] Why Are the Muslims the Way they Are? [Chapter 25] Still Working for Allah? [Chapter 33] Are Elections Haram? [Chapter 34] Excuse Me, But We Are the West! [Chapter 40] Darul What, Muslims?